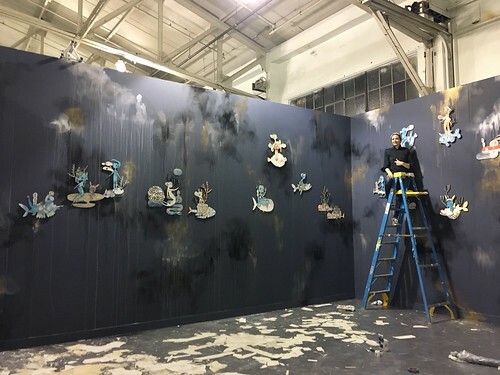 FOGSCAPE was designed for A16 exclusively for the 2018 Fog Fair by San Francisco-based artists Kelly Tunstall and Ferris Plock, fine decorative painter Caroline Lizarraga and creative studio Form & Fiction, alongside A16's Greg and Shelley Lindgren. Inspired by both the coastal regions of southern Italy and Fort Mason itself, FOGSCAPE exists as a place where land meets sea and sky. The custom walls (by Lizarraga and team) are populated by Plock and Tunstall’s multi-layered pieces, which were laser-cut by Form & Fiction. Light fixtures are by Foscarini. 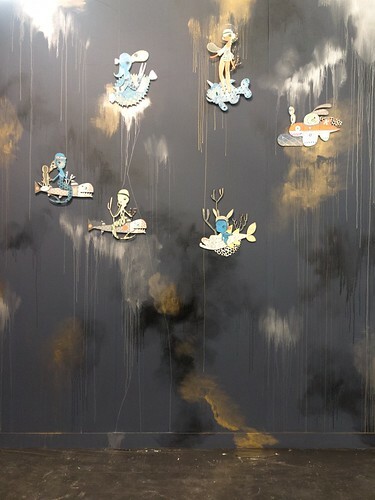 Caroline Lizarraga Decorative Painting Lizarraga creates custom finishes for residential, retail and hospitality projects; walls, floors, furniture and art in lacquer, plaster, leafing, resin, and metallic finishes. Recent projects include Robin, Nightbird, Alba Ray’s, The Riddler, and Black Cat. www.carolinelizarraga.com + Form & Fiction Form & Fiction is creative studio that specializes in video and photo production, CG, animation and professional photo retouching. We partner with agencies and brands to create visual and narrative experiences that inspire. www.form-fiction.com KEFE + F&F www.daydreamerslimited + Foscarini A technological and creative workshop that conceives, develops and produces not just lamps but pure emotions, in collaboration with many other designers from around the world. www.foscarini.com + The FOG Design+Art Fair celebrates innovation and features exhibits, installations, and discussions with top global artists, architects, designers, and style makers. 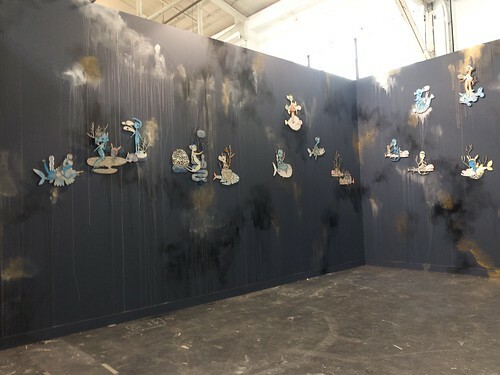 Close to 45 prominent 20th and 21st-century galleries and art dealers from the San Francisco Bay Area and beyond transform Fort Mason Center for Arts & Culture’s Festival Pavilion into the epicenter of art and design. 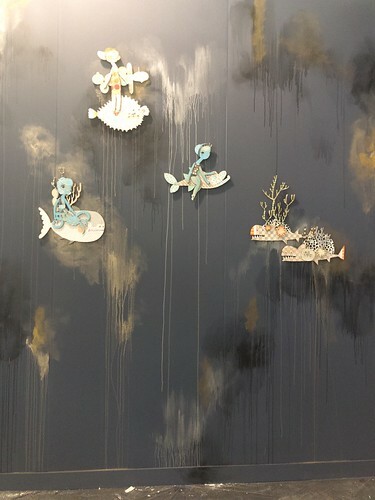 Also in the works are immersive environments and site-specific installations by talented local artists. The fair opens on Wednesday, January 10, 2018, 4-10 p.m. with a special preview benefit gala ($175-$10,000) for the San Francisco Museum of Modern Art (SFMOMA). Public hours for the fair are Thursday, January 11, 2018, 11 a.m.-7 p.m.; Friday and Saturday, January 12 and 13, 2018, 11 a.m.-7 p.m; and Sunday, January 14, 2018, 11 a.m.-5 p.m. Tickets cost $25 in advance or $30 at the door.